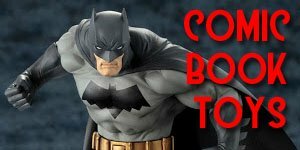 Mego Super Knights of the Round Table! 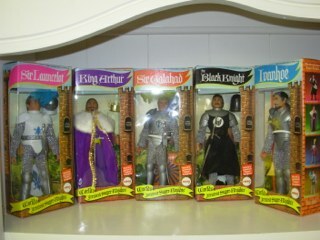 Released in 1975 these 8-inch Deluxe Mego figures were based on the knights of King Arthur and the Round Table. Being based on characters in the public domain Mego didn’t have the expense of acquiring any licenses in order to produce these and as a result the overall quality of the figures and the accessories they came with were far superior to many of their licensed lines. 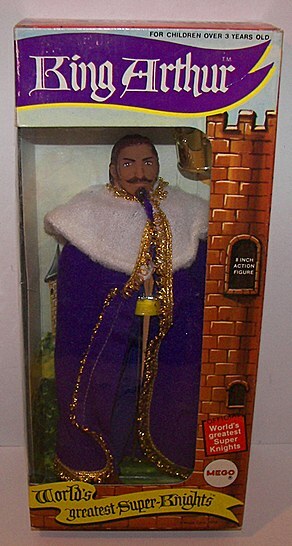 There were six figures originally planned to be released but unfortunately Guenevere was never produced, as was the case with the Castle play set, which was later released as a Wizard of Oz Witches Castle exclusive. 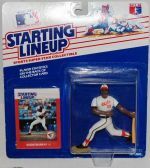 Each of the figures was sold in deluxe window boxes with the identical cardboard insert behind it and secured with twist ties. Interestingly enough the King Arthur figure featured the same head sculpt as Buffalo Bill from the Western line and Kit Carson from the Willer line. Probably the coolest figure in this line was The Black Knight, which despite probably being the most common of the figures at one time now seems to be the scarcest. 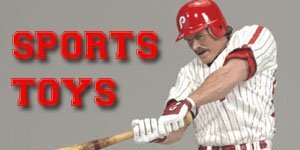 This is probably in part due to the notoriety of the Black Knight of Monty Python fame. Also, as with the King Arthur figure, the Black Knight Black Knight shared the same head sculpt and paint job as Wild Bill from the western line. 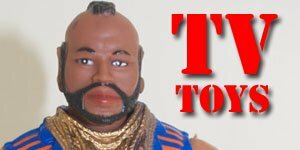 The last three figures, Galahad, Ivanhoe and Lancelot all came in sealed body armor making them virtually impossible to remove. Galahad shared the same head sculpt as the Robin Hood lines Wil Scarlet and the Palitoy Zorro figure, although Zorro has a different paint job. 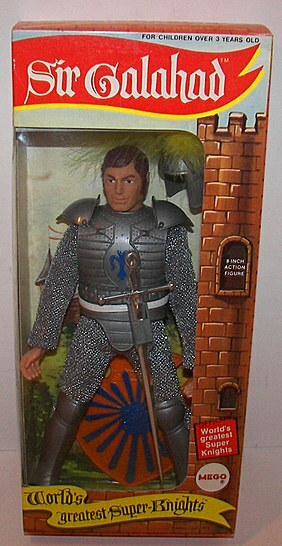 Many people have compared the Ivanhoe figure to the likeness of Robert Taylor who starred as Ivanhoe in the 1952 movie of the same name and in the 1953 movie Knights of the Round Table as Lancelot. 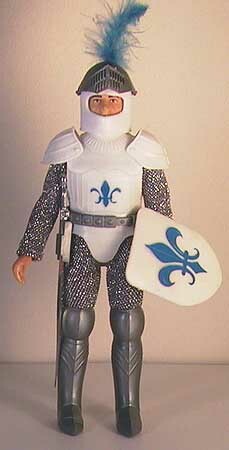 The Lancelot figure, which Mego decided to use the less common spelling “Launcelot”, had different style boots than Galahad and Ivan and also rounded knees and different embossed patterns. Three things of note with this series is that despite their short run they came with both Mego body types. 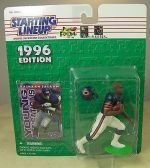 Also only four of these figures were available in Germany and were sold as two-packs, King Arthur with Ivanhoe and Lancelot with the Black Knight. Until recently it was thought that the Jousting Horse was never produced. 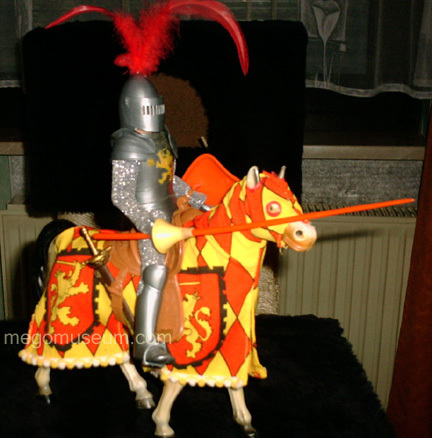 However samples have recently discovered in Europe, although it seems to have been the stock Mego Action Stallion with a horse blanket in a similar style to Lancelot’s costume. 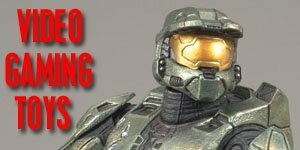 The figures were very popular with collectors and commanded high prices on the secondary market until the release of the CTVT repro figures in 2005 which were fairly accurate reproductions of these five figures. For a full comparison of the two sets and how to tell them apart the Mego Museum has an excellent figure by figure beakdown on what to look out for.